Having worked in sales with large corporations for several decades, it became clear to me that there was a need for a practical Sales Automation Tool that enabled sales rather than one that simply tracked events. I developed such a tool and was discussing its functionality with an existing client who asked me, “does the tool allow me to understand why my salesperson is unable to close a particular piece of the business”. Of course, I said yes and made sure that when we deployed the system, their sales team fully understood the need to capture this key piece of intelligence accurately to help understand trends within the business that needed addressing. Understanding EXACTLY why customers say no to a sales approach allows us to address the specific individual reasons for failure, mainly through custom sales training. Several months after the change in software, I was meeting with the client again, hoping to hear how successful his new sales program was working for him. Unfortunately, he advised me that it was a complete failure as there were no trends whatsoever and that they only had one selling issue in the business – the only reason that a salesperson ever lost a deal was because they were too expensive! Can this be correct? I mean they were still winning deals as well. Why did these other customers not think they were too expensive? Why is it when we don’t win the business it is automatically assumed to be because we were too expensive? Well, the simple answer is that it’s not true. Let’ s look at a real experience of mine. For more than two years I worked within an industry in which 3 of the top 4 suppliers of the service had over 75% of the market share for their industry. I worked with all of them on sales improvement programmes. Without divulging any trade secrets, I can tell you that when working with their sales executives they all claimed and believed that their company were the most expensive in the market. Obviously, this cannot be true but these were professional well-trained salespeople, supported by the resources of large, customer focused organisations. It is true that most of the time clients will throw in that you are too expensive, however, is this simply an easy way out for them? Is there anything else that they are looking to avoid, that they haven’t thought through or underlies their reluctance to commit? To consider this question, let’s imagine that a client has just told us that we are too expensive and then review our approach from the start. If we can go through the entire sales process from the beginning and tick all the boxes to say that we have done them all correctly, then we can say that the real reason for saying no was genuinely price – that our offer was too expensive. If not, we will need to look at what went wrong and where we can improve. I can assure you from experience that I have never lost a piece of business due to price. It has always been down to something else. Usually, it is something that I should have done better and I have always tried to learn from this. 7 SIMPLE STEPS TO AVOID FALLING INTO THE "TOO EXPENSIVE" TRAP. MAKE SURE THAT ALL STEPS ARE DONE WELL..
Have you chosen the best companies to work on? Maybe they don’t value the complete package, the extra’s you provide or the professionalism you offer. If you haven’t fully understood your target and are working on companies that don’t value what you do, you are preparing to fail. It’s the old cliché – “you won’t be comparing apples to apples” If you can look back and honestly say that “no sales person in the world could have closed this deal” as there was no alignment with your products/service to start with then it’s not about price, it’s about wasting your time on the wrong target customer. It’s an overlooked fact that rarely does anybody provide you with feedback on the first impression that you have made. It is also so true that you “never get a second chance to make a first impression”. So get it right. It’s very difficult to claw yourself back into the positive light if you start on the wrong foot. If you are late to the meeting, for example, the client might not have complained but may not have liked it. Probably he won’t have warmed to you and therefore probably doesn’t trust you…. It is very difficult to buy from somebody where trust is lacking. 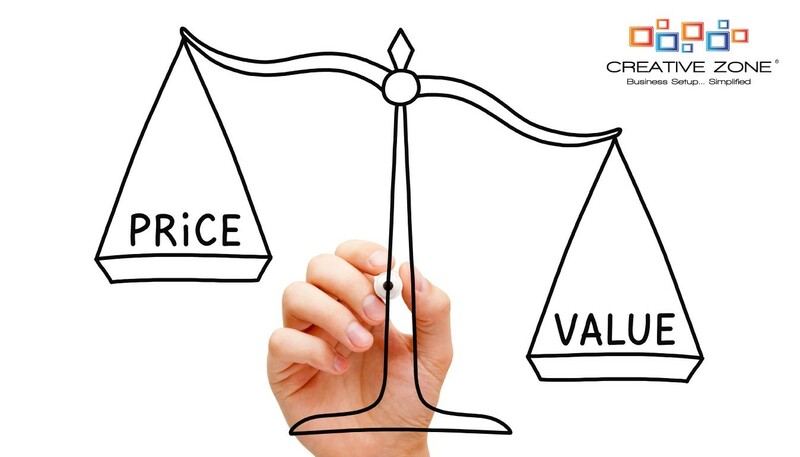 As professional salespeople, we must always sell value – it is almost impossible to sell our products and service without really understanding what the impact will be to the client’s business. In my career, the most common reason why a client from within your target market has not purchased from you is that you haven’t taken the time to understand what your offer will do for them. OK, so maybe you did completely understand the client’s needs but then failed to communicate the link between what you are offering and its impact on the person buying. The most common cause of this that I can think of, is that the key “impact messages” are lost in many pages of a proposal or that you have inflicted death by power point when presenting your offer. When you presented, was the conversation focused on the key areas? or worse still……did you send the proposal and not present it, thus allowing the client to interpret for themselves what you have said! You have to close when the client is interested. This is best at the time of presenting but you will have other opportunities after this. Asking for the business is not being pushy, you can ask in the nicest possible ways but don’t miss your chance. Failure to close can often be hidden behind the “too expensive” excuse. Did you stay in touch with the client within the right time frames? Were you insistent not persistent? Was there a planned approach to your follow up? If not then “lack of follow-up” is the reason for not winning the business. Make sure that you don’t fall at the final hurdle. In the clear majority of cases if the client wants to negotiate with you it means that they want to deal with you. If you have got to this stage well done but don’t throw it away here. The way you approach the negotiation is key. Not only do we want to close the deal but we also avoid discounting – trading off is key. If you give something away, expect something back. So where does this leave us? With all these areas that may not have gone well, the most common reason given for not buying is still that we were too expensive. We may have to think again. Has the customer that just rejected you ever gone with a solution that is not the cheapest? I promise you they have. If we don’t take ownership on failure, we will never improve to our full potential. If we always hide behind the ‘fact’ that we are too expensive, we will never find ways to improve, address the real issues and make the likelihood of winning more business a reality. Challenge yourself. If you ask them, the client will only comment on the obvious ‘tangible’ stuff which is primarily price. As mentioned they are unlikely to provide feedback on the broader range of points that may have impacted their decision. They are not skilled sales people who can pick out what went wrong. Only you can do this and doing this will be a big part of your success. I suggest from here on out, that you always create a checklist when you lose a deal. (I have attached a sample for you) You may want to sit with somebody that will help you rebound ideas and challenge your thoughts on why you were unsuccessful. I suggest that every time you are tempted to blame price for losing a sales opportunity that you go through the process again as it’s most likely not true……. Oh yes and get it right and you will live happily ever after -sorry! !